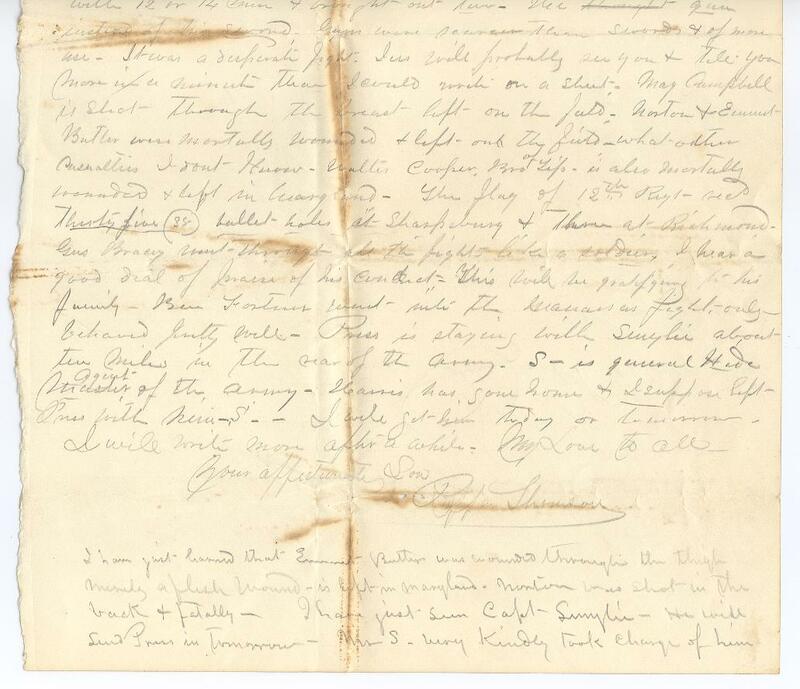 Item description: Letter, 30 September 1862, from Ruffin Thomson, 18th Mississippi Infantry Regiment, to his “Pa” (William H. Thomson). 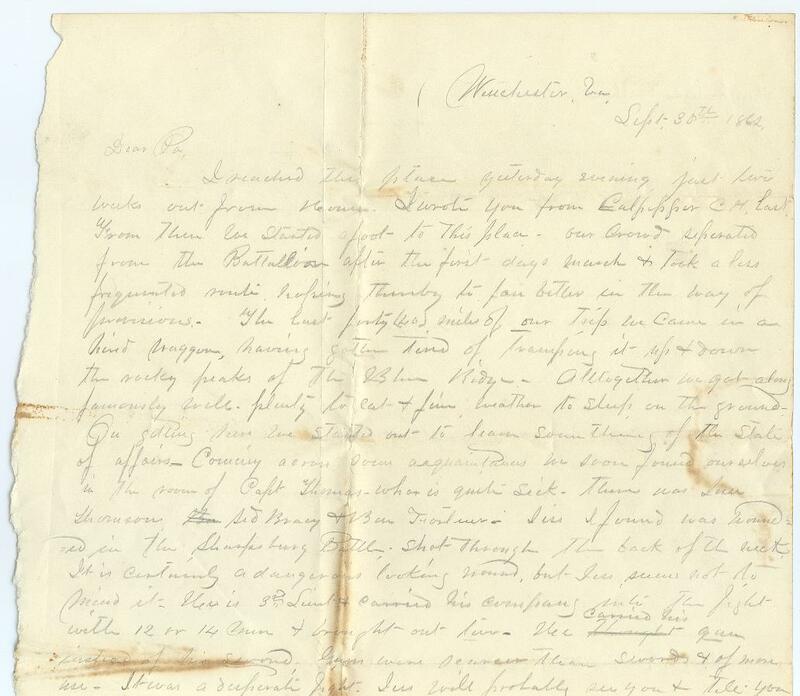 The letter describes some of the aftermath of the Battle of Antietam (Battle of Sharpsburg). I reached this place yesterday evening, just two weeks from home. I wrote you from Culpepper C.H. Last. From there we started afoot to this place. Our crowd separated from the battalion after the first day’s march and took a less frequented route, hoping thereby to fare better in the way of provisions. The last forty miles of our trip we came in a hired wagon, having gotten tired of tramping up and down the rocky peaks of the Blue Ridge. Altogether we got along famously well – plenty to eat and fine weather to sleep on the ground. On getting here we started out to learn something of the state of affairs. Coming across some acquaintances, we soon found ourselves in the room of Capt. Thomas, who is quite sick. There was Jess Thompson, Sid Bracey and Ben Fortner. Jess I found was wounded in the Sharpsburg Battle, shot through the back of the neck. It is certainly a dangerous looking wound, but Jess seems not to mind it. He is 3rd Lieutenant, and carried his company into the fight with 12 or 14 men, and brought out ten. He carried his gun instead of his sword. Guns were scarcer than swords and of more use. It was a desperate fight. Jess will probably see you and tell you more in a minute than I could write on a sheet. Maj. Campbell is shot through the breast left on the field. Norton and Emmet Butler were mortally wounded and left on the field. What other casualties I don’t know. Walter Cooper, brother of Tip, is also mortally wounded and left in Maryland. 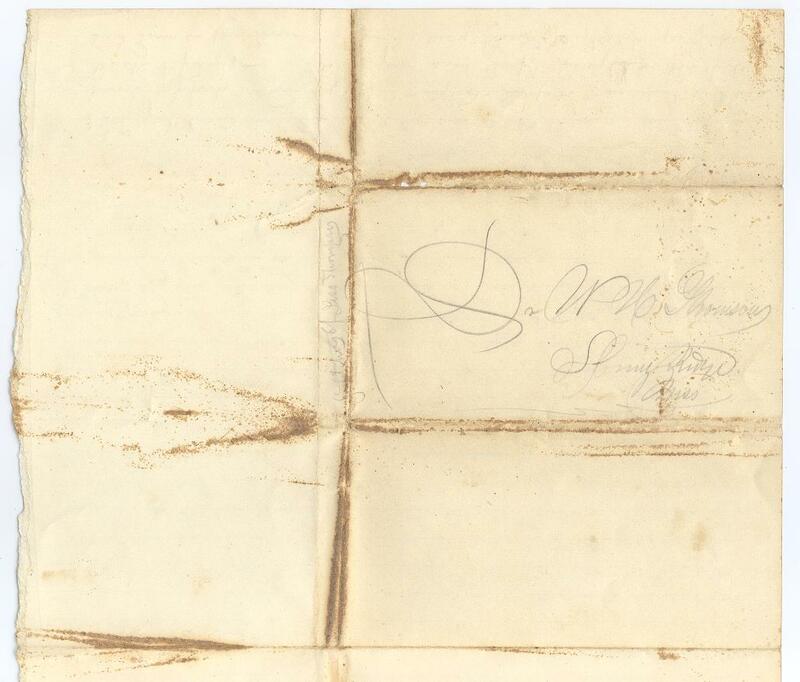 The flag of the 12th regiment received thirty-five bullet holes at Sharpsburg, and three at Richmond. Gus Bracey went through all the fight like a soldier. I hear a good deal of praise of his conduct. This will be gratifying to his family. Ben Fortner went into the Manassas fight only. Press is staying with Smylie about ten miles in the rear of the army. S- is general Hide Agent of the army. Harris has gone home, and I suppose left Press with him, S. I will get him today or tomorrow. I will write more after a while. My love to all. I have just learned that Emmet Butler was wounded through the thigh – merely a flesh wound – is left in Maryland. Norton was shot in the back and fatally. I have just seen Capt. Smylie – he will send Press in tomorrow. Mr. S. very kindly took charge of him, when he was without a protector. Please pay Jesse T. $15.00, the amount due him by me for money borrowed last July. 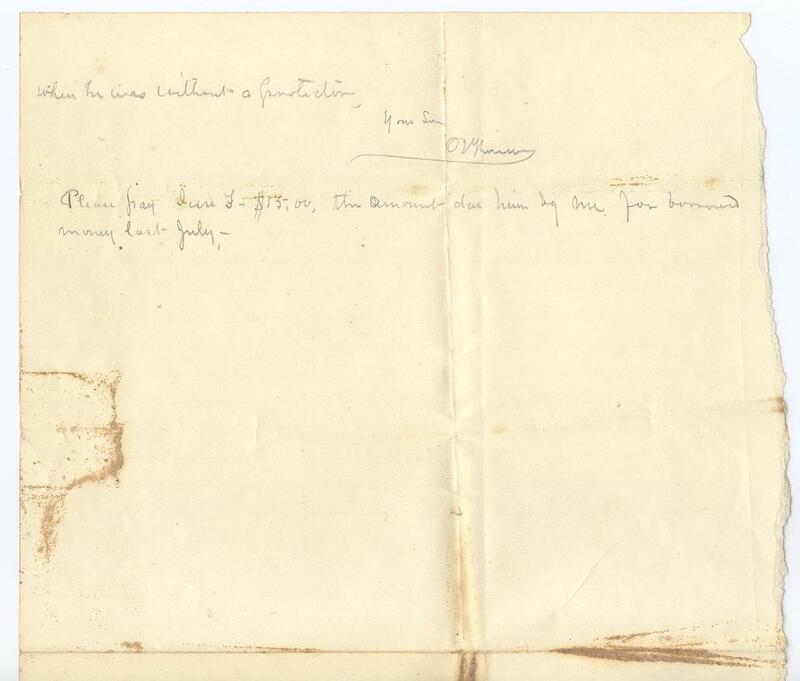 This entry was posted in Southern Historical Collection and tagged Battle of Antietam, Battle of Sharpsburg, casualties, Maryland, Ruffin Thomson. Bookmark the permalink.